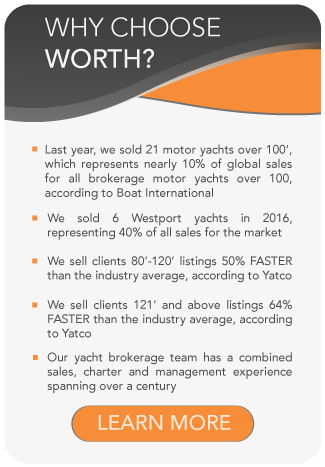 All ISA Yachts for sale worldwide are listed below, scroll down to view them. ISA Yachts portrays a brand of style and high quality luxury megayachts with a maximum level of customization and the distinctive influence of “made in Italy”. ISA Yachts, part of the Palumbo group and located in Ancona, Italy, builds luxury superyachts ranging from 144ft/ 44m to 263ft/ 80m in steel, aluminum and fiberglass. Since ISA Yachts’ foundation in 2001, 32 luxury megayachts (between 118ft/ 36m to 217ft/ 66m), have been delivered from its Ancona-based shipyard. Even though ISA yachts represented excellence in quality, materials, finishes, technology and design, the shipyard production came to a halt in 2015 and faced an uncertain future. In July 2016, The Palumbo Group acquired the Ancona based shipyard commencing an appealing new era for ISA Yachts. The Palumbo group, represents the major refit-repair network in the Mediterranean with a background of 50 years of experience in shipbuilding. Palumbo Group has grown to become a major player in the shipbuilding industry and is building up its growth and reputation in the luxury yacht world for both new build and refit-repair. The new build division has been operating under Columbus Yachts since 2008 and recently, acquired ISA Yachts as part of the group. ISA Yachts’ entry strengthens the growth and awareness of Palumbo Group in the new build industry, significantly. Notable ISA Yachts built to date include the GranTurismo 281ft/ 66.4m superyacht OKTO, winner of 2014 World Yacht Trophies. OKTO features the exceptional interior design of the late Alberto Pinto. Another notable build is the notorious red-striped 179ft/ 54.5m FOREVER ONE designed with a reverse bow by Horacio Bozzo of Axis Group Design. The “new era” of ISA Yachts has the signature of talented international Designers and Naval Architects. Sleek design, stylish profiles and slender silhouettes characterize the profiles of the new interpretation of ISA YACHTS range. The restyling of ISA’s GranTurismo, Sport and Classic lines together with the launch of the new Supersportivo series will be the ambassadors of a new path. Performances, elegant luxury, sportiveness and dynamism will be ISA Yachts’ future portrait. When looking to charter an ISA built-yacht, Worth Avenue Yachts recommends such luxury yachts as Mary Jean II, Whispering Angel, and Olah. For more information on International Shipyards Ancona (ISA) or Worth Avenue Yachts, please contact us at Team@WorthAvenueYachts.com or call 561.833.4462.